The Wilson Law Firm represent victims who have been injured in car, truck and traffic accidents through the negligence of others. Tens of thousands of car accidents occur each year in Florida with many of them resulting in serious bodily injury or death. Unfortunately, most of these accidents also could have been prevented but for the negligence of one or more parties. If you have been injured in a car, truck or traffic accident, call us today to speak with an Orlando car accident attorney. Florida requires every insurance policy to include $10,000 in coverage for medical bills and lost income. Essentially, this means that the first $10,000 of medical care of each person injured in a car, truck or traffic accident is paid by the insurance of the driver, regardless of who was at fault for the accident. In many cases involving serious injuries this coverage will not likely cover the medical costs which is why many people will seek additional coverage, including uninsured and underinsured coverage to protect them in cases where other motorists fail to maintain their insurance or have the minimum coverage amounts required. Unfortunately, it is not uncommon for people to have to file suit against their own insurance company to recover compensation for damages they or a loved one may have suffered. For more information speak with an Orlando car accident attorney today. The following list contains things you should consider doing after an accident if you are medically able to and the accident scene is safe. 1) Contact Law Enforcement – They will be able to assist you with the situation and will write a report about the accident which may be useful for your case. 2) Get proper medical treatment – In many cases, due to adrenaline and the shock of the accident, you may not even be aware that you’re injured. In addition, some injuries may not be apparent yet to you immediately following the accident. A medical evaluation will help determine the nature and extent of any injuries. 3) Collect Information – If you are able to, get the names and contact information from anyone involved and any witnesses to the accident, including any police officers who arrive at the accident scene. In addition, you should get the vehicle information for anyone involved in the accident, including their insurance companies and policy numbers, license plate numbers, driver’s license numbers, and the make, model, year and VIN of any cars involved. 4) Take Pictures – If you have a camera available, take as many pictures as of the vehicles and accident scene as you can. These pictures can be extremely helpful in determining how the accident occurred and what happened as well as in identifying witnesses who were present at the scene. These photos may be very helpful for your case. 5) Speak with an Orlando accident attorney as soon as possible after the accident. You should strongly consider consulting with an attorney before making any statements to the insurance company. 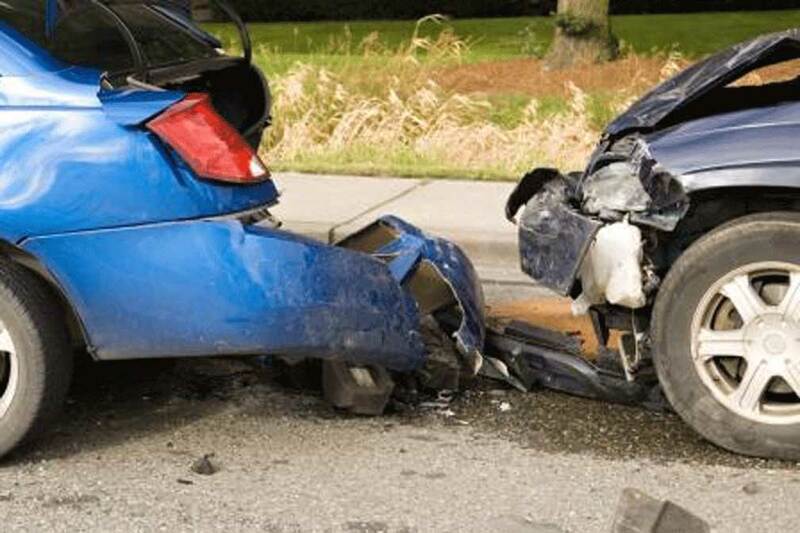 Insurance companies are in business to make money and many will use tactics to reduce the amount of money they pay out in accidents, this includes using any statements that you provide against you. For more information speak with an Orlando car accident attorney today. You do not need to be a United States Citizen to file an accident claim. Under Florida law, even if you are partly to blame for your injury, if another person is also partly to blame then they are held financially responsible for their percentage of the damages and costs that you incur as a result of the injury. The amount of compensation you will receive then is dependent on the amount of damages and the fault attributable to the other party. For more information speak with an Orlando car accident attorney today. 1) Past and future medical expenses. 2) Past and future loss of income or earning capacity. 3) Past and future pain, suffering and emotional distress. 4) Loss of enjoyment of Life. 5) Car repairs and/or replacement. 7) Expenses associated with death. 8) Loss of victims retirement benefits or medical coverage. 9) Loss of companionship to survivors. 11) Any other financial loss that would not have occurred but for the injury. For more information speak with an Orlando accident attorney today. The law limits the amount of time you have to bring a personal injury action, and you should speak with an Orlando car accident attorney as soon as possible to know what the time limits are in your case. This is also important because in many cases it may take time to determine the total extent of any injuries. For more information speak with an Orlando Accident Attorney today. In some cases, the parties may make a reasonable settlement offer within a few months, even before a lawsuit is filed. However, where there is a dispute as to fault or the extent of the injury, it may take a considerable amount of time before a resolution is reached or the case goes to trial. For more information speak with an Orlando car Accident Attorney today. The Wilson Law Firm represents personal injury clients on a contingency fee basis, which means the Firm doesn’t collect any attorney fees until it recovers compensation for your case. For more information speak with a Orlando car accident attorney today. 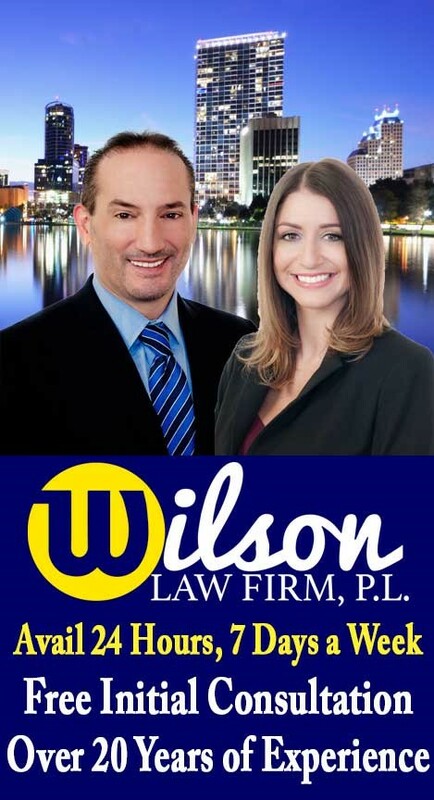 Call the Wilson Law Firm Today at (407) 648-5255 to speak with a Orlando car accident attorney about your situation or to schedule a Free Initial Consultation. The Wilson Law Firm represents individuals in car, truck and traffic accident cases in the Orlando and Central Florida area, including Brevard County, Lake County, Orange County, Osceola County, Seminole County, and Volusia County. The Wilson Law Firm provides a free initial consultation where you will speak with an Orlando car accident attorney and Orange County Florida injury lawyer to discuss your case. Call us today to speak with an experienced Orlando accident attorney about the legal process and your rights.